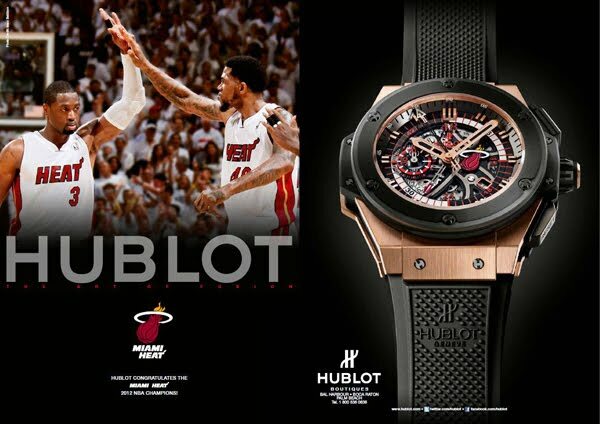 Since the start of their relationship in December, 2010, Hublot and the Miami HEAT have shared the same strategic mission - to be the most creative, forward thinking, prepared and hard-working organizations in their respective fields. This determination has inspired the creation of the King Power Miami Heat Chronograph, a distinctive piece that combines the best of both brands. Proceeds from the sales of the exclusive Miami HEAT limited edition timepiece will go directly to the Miami HEAT Charitable fund to benefit the South Florida Community. 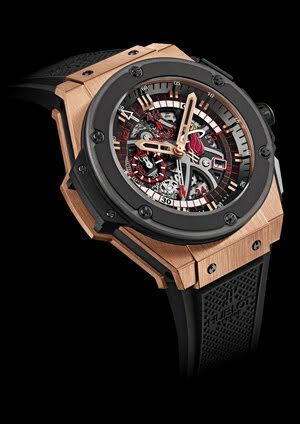 “The Miami HEAT is both delighted and proud that Hublot, a respectable and iconic international brand, has created such an elegant watch that perfectly embodies the essence of the Miami HEAT,” said Eric Woolworth, President of The HEAT Group’s Business Operations. 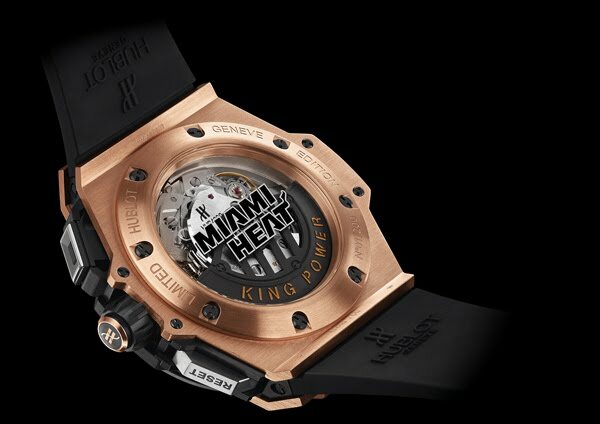 The King Power Miami HEAT is an impressive combination of innovation and sophistication. With a refined and graphic design this timepiece is a fusion of high watch making tradition and 21st century creative vision. The Miami HEAT watch is made of 18K King Gold, a particularly precious and intense gold obtained by adding five percent platinum to the mass of melting gold, giving it a visual impact which is reinforced by the contrast with the black coating of the other components. 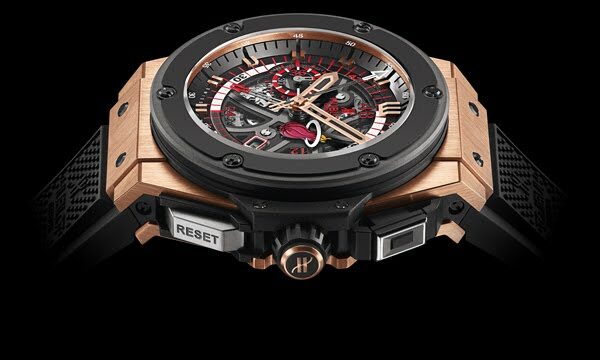 Housed in the 48 mm case of the Miami Heat watch is a new movement that features a special 48 minute central counter simulating the four quarters of a basketball game. Established in 1997, the Miami HEAT Charitable Fund supports programs for the betterment of at-risk families in South Florida. Beneficiaries include SafeSpace, a domestic violence shelter for women and children, the Jackson Memorial Foundation’s Guardian Angels and Holtz Children’s Hospital, and the Miami Coalition for a Safe and Drug-Free Community.